 I am a Broker/Owner of the Gouveia Real Estate Team in partnership with Keller Williams Realty. I was born and raised in Massachetts. My father was a carpenter and real estate investor. At a young age I was around investment properties, sales and construction. This background has been a great asset to my real estate sales business as I truly know and understand what I am selling and presenting to the consumers. My success professionally and personally has been built around three things that I hold above everything else, be honest, have integrity and treat all people with respect. I spend time listening to my client’s needs, concerns and feedback so I can assist them with my 15+ years in real estate marketing and sales. I believe in order to give my clients the very best skills and services that I will forever be a student and will continue to invest in education, tools and resources to stay ahead of this fast changing industry. I am a father and grandfather. I enjoy spending time with family, watching them play sports and seeing them grow. I enjoy visiting my family and friends. I love reading, fine dining, entertainment, the beach, the spa, mediation, working out, touring historical places and buildings. I have a passion for teaching and coaching others. I enjoy to spend time giving back to our communities and helping those in need. My two future goals that I would love is to own a home I can walk straight out of onto a beach with breathtaking views. I also would love to build a large garage that I could collect and restore my favorite cars. Courtney was born in and raised in Taunton, Massachusetts and currently resides there. She graduated from Coyle and Cassidy High School in 2015 and spent her first year of college at Southern New Hampshire University majoring in Psychology. Courtney made the decision to transfer to Bridgewater State University the following year to study Athletic Training. Although Courtney enjoyed studying these topics, she couldn’t imagine herself fulfilling a career in those fields. Since she was of young age, Courtney had been around the Real Estate business and was always there to lend a helping hand to her father, Dan, whenever needed. Courtney started working full time for The Gouveia Real Estate Team in January of 2017 and realized her true passion all along. Courtney finally made her decision to major in Business Management and Marketing and plans to graduate with her degree in 2019. Courtney’s mission is to follow in her father’s footsteps and carry over all of her skills and knowledge to assist in the continual growth of our team, increased level of service to our clients and always implementing the latest technology and resources so our clients can experience the very best our industry has to offer them with selling, buying and investing in real estate. Courtney is a member of the Bridgewater State University Softball Team and has played competitive travel Softball since she was nine years old. In her downtime, Courtney enjoys working out and staying fit, watching the New England Patriots, going to the beach and boating, but most of all spending quality time with her family and friends. A native of Long Island, New York, Lisa was happy to make her home in Taunton. Lisa graduated from Syracuse University and went on to become a Registered Dietitian and Certified Diabetes Educator. The compassion and understanding gained in these roles allows her to recognize what is important to her clients. Lisa started her Real Estate career in the late 1980s. She has had experience in both commercial and residential transactions. After an adventurous sale of her home, Lisa was encouraged to help others navigate the real estate market and is extremely excited to be joining the Gouveia team. As a Buyer’s Specialist, Lisa’s competitive nature will show in her determination to find the perfect fit for your future! Her attention to detail will guide you through a successful Real Estate experience. Lisa’s biggest passions are her Scottish Terriers. She trains and competes around the country in agility. Over the years, she and her Scotties have earned many AKC (American Kennel Club) titles. She was especially proud to compete at Westminster Agility with her Scottie, Lexy! They all relish in “couch time” at the end of the day with Lisa and their Dad, Jim. Lisa enjoys spending time with her family, kayaking, biking, and savoring a good meal.